Another great coin magic miracle from Quick Pick Magic! 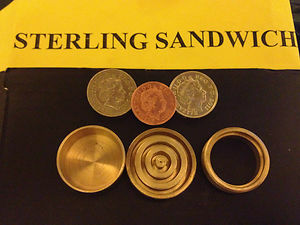 You show two £1 coins and a 1p coin, together with a small brass box and lid in full view of the audience. You place one of the £1 coin in the box with the 1p coin on top and the remaining £1 coin on top. The 1p coin is now very obviously sandwiched between the two £1 coins. The lid is then put on the box. You ask a spectator to put out their hand and you hold the brass box over it. The brass box is tapped firmly on the lid and amazingly the 1p coin coin PENETRATES RIGHT THROUGH THE £1 COIN AND THE BASE OF THE BOX, drops into the hand of the spectator. The lid is then removed and the two remaining £1 coins are tipped off. Everything can now be examined. Sounds impossible but its accomplished very easily with the special box and coins provided. All you have to add to the set is a regular £1 coin and a 1p coin. This trick requires no skills! A self working trick, no magnets and no sleight of hand! Don’t forget to check out our other items. 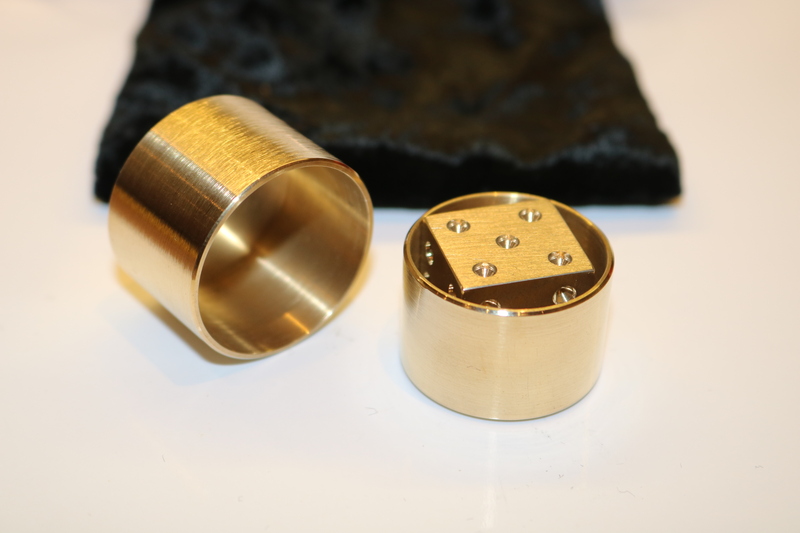 We Manufacture these professional quality products precisely and you can buy them with confidence. SKU: QPM 69. Categories: Best Selling, Closeup Magic, Coin Magic, English Coin Magic, Genral, Mental Magic. Quick Pick Magic © 2019. All Rights Reserved.